I accept BCBS of Arizona, private pay, TRICARE, TriWest clients. 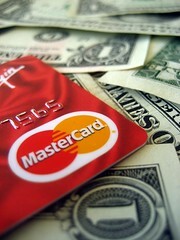 You may pay exact cash, check or credit cards (Visa, Discover, Mastercard) for a session. Contact your insurance company about out-of-network fee reimbursement with the SuperBill which will be provided via email after your session. Full payment is required at the time services are rendered. Blue Cross Blue Shield of Arizona with Networks: Statewide PPO, Statewide HMO, Indemnity, Senior Preferred, WorkersComp, Alliance, Scottsdale Lincoln Health/Partners, and Neighborhood. Note: If one of the insurance plans listed above is your secondary, you are responsible for full session fee, and it is your responsibility to follow up with both your primary and secondary insurance companies for reimbursement.